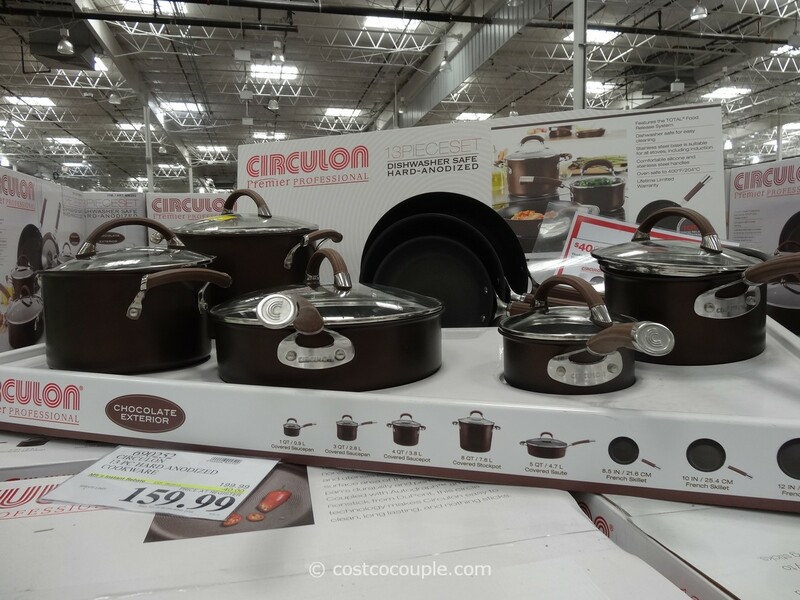 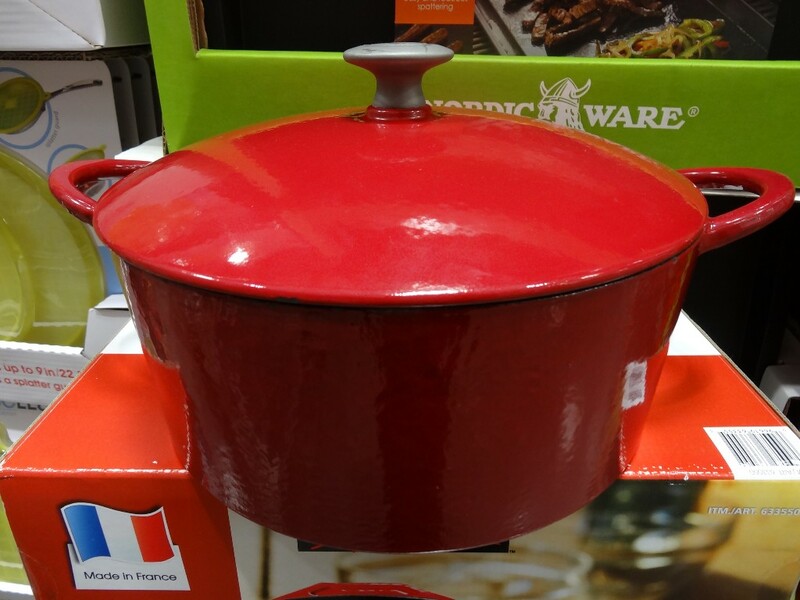 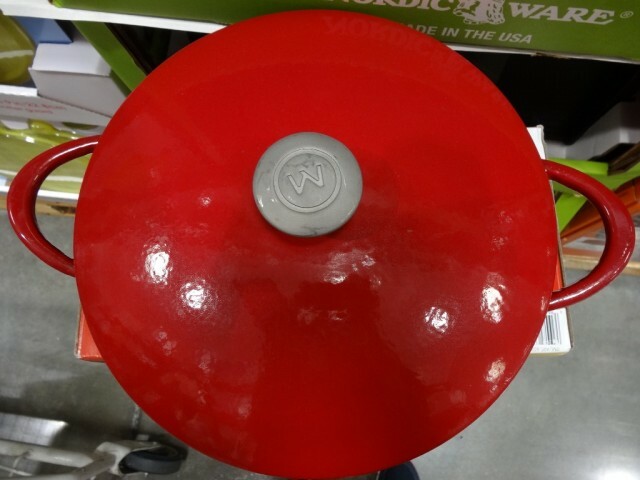 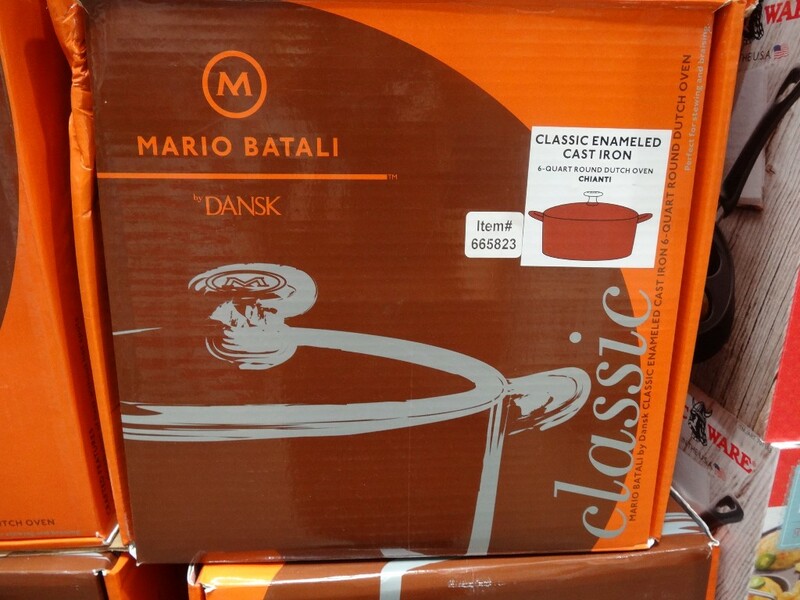 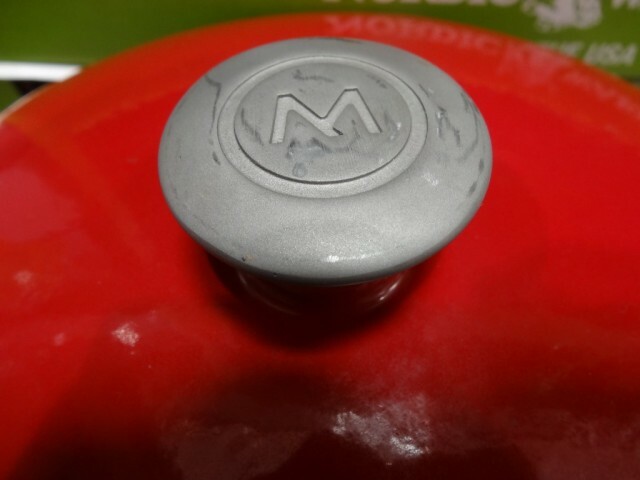 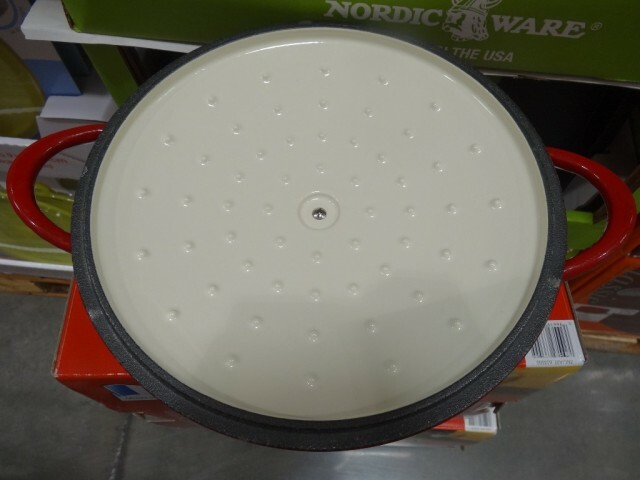 The Mario Batali 6 Qt Chianti Cast Iron Round Dutch Oven is available in Costco in a beautiful persimmon color. 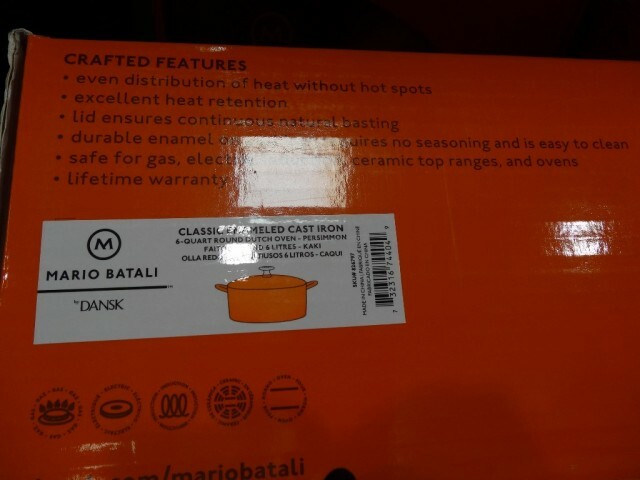 The Mario Batali 6 Qt Chianti Cast Iron Round Dutch Oven is priced at $69.97. 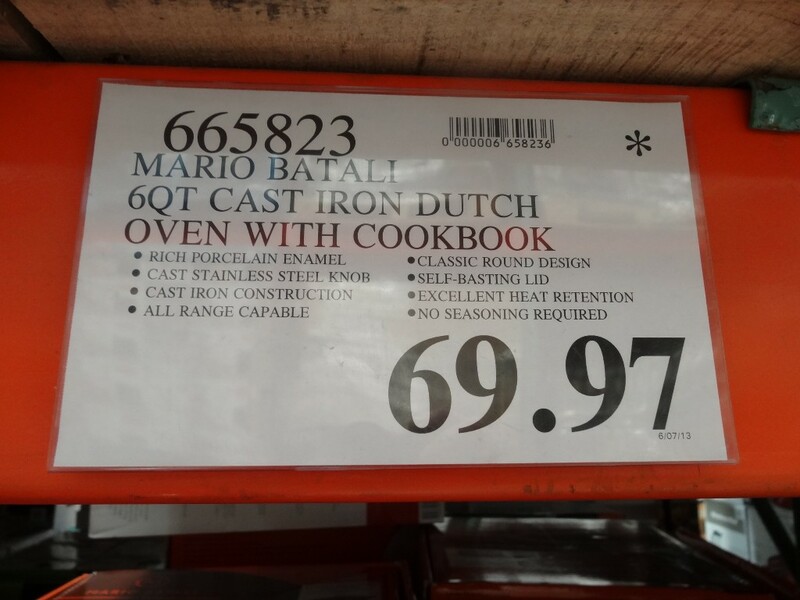 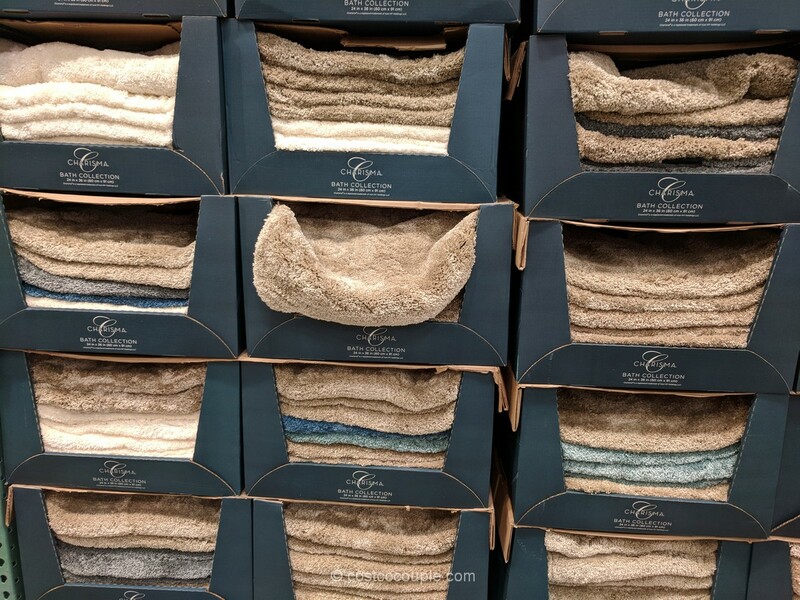 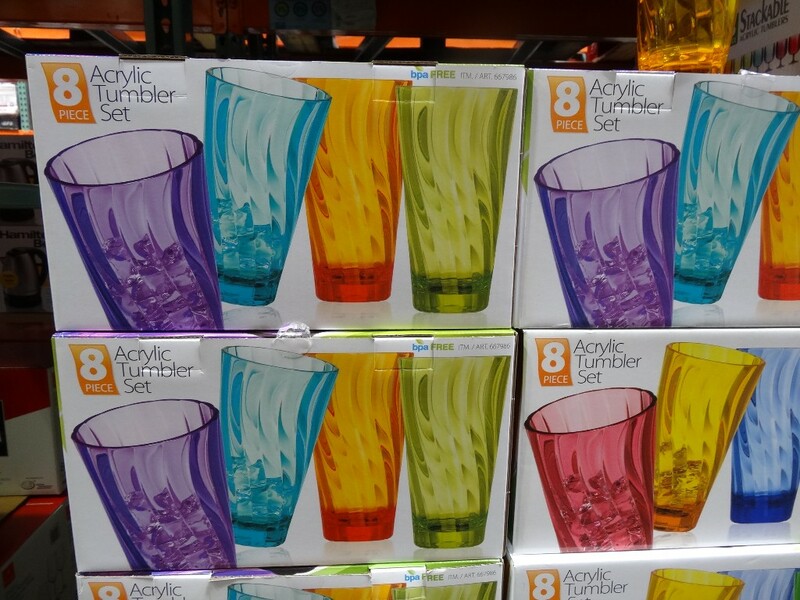 Spotted at the Santa Clara CA store.